Our Long Beach Movers are here to take care of the heavy lifting for you on your move. The clean-cut student athletes of Meathead Movers are ready to get you safely settled into your new place no matter where you call home. When our Long Beach Movers relocate our customers to this eclectic port city, we always go the extra mile for them. That’s The Meathead Difference. So if you are looking for a West Coast city with a little East Coast flair, our team will help you enjoy a trouble-free move to this exciting city..
Long Beach is one of the many Gateway Cities that are located where Los Angeles County and Orange County meet. It’s technically located in Los Angeles County, and it is made up of several very distinct areas. The tourist district is primarily concentrated alongside the shore. In that part of town, you’ll find the Aquarium of the Pacific, one of the largest aquariums in the country. You can also visit the Queen Mary, and take the Ghosts and Legends tour for an experience you won’t soon forget. One area that’s sure to become a regular stop of yours is Naples Island. This upscale part of Long Beach is made up of a series of picturesque canals that are lined by walkways and bordered by million-dollar homes. Take your sweetie on a romantic Gondola Getaway aboard a Venetian-style gondola for an unforgettable experience. If you are up for a longer boat ride, the Catalina Express offers regular services to Catalina Island, located just 22 miles offshore. Long Beach also hosts plenty of fun events. One standout is the Long Beach Blues Festival that takes place every Labor Day weekend. Past performers include Etta James and the Los Lobos, so it’s always a lot of fun. If you are considering a move anywhere in the Western United States, our Long Beach Movers are here to help. Our moving company specializes in local, long-distance, and commercial moves to, from, and within Long Beach. We also provide reliable packing, storage, on-site relocations, and our distinctive moving concierge service. Our talented Long Beach Movers will cater to your every need. Our moving concierge service will help you find everything you need from computer network installers to babysitters. With Meathead Movers, you will be settled in nice and quickly that way you can start taking advantage of everything Long Beach has to offer. 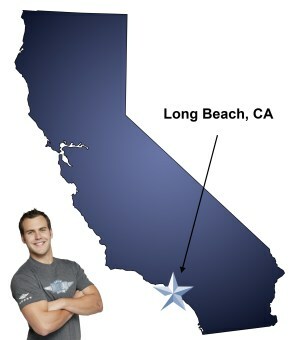 You won’t find better Long Beach Movers than Meathead Movers. Our clean-cut student-athlete movers are sure to exceed your expectations. Contact Meathead Movers today for a free moving quote and learn how we can get you into your dream home. With a 100% satisfaction guarantee you have nothing to lose! Moving to Long Beach? Here are some helpful resources. View more Long Beach resources. Your guys we're professional, hard working,& moved very heavy stuff to a second floor apt.extremly happy I chose meathead movers. My mentor and my Princess Packer were wonderful. Quick, efficient and extremely pleasant young people. They were thorough and didn’t quit until everything was completely finished. The college kids were great. They actually did jog back and forth during the move. They came early and got things done in less than an hour and got my stuff in the new place in perfect condition. If I ever move again Meat Head movers will be my first choice.